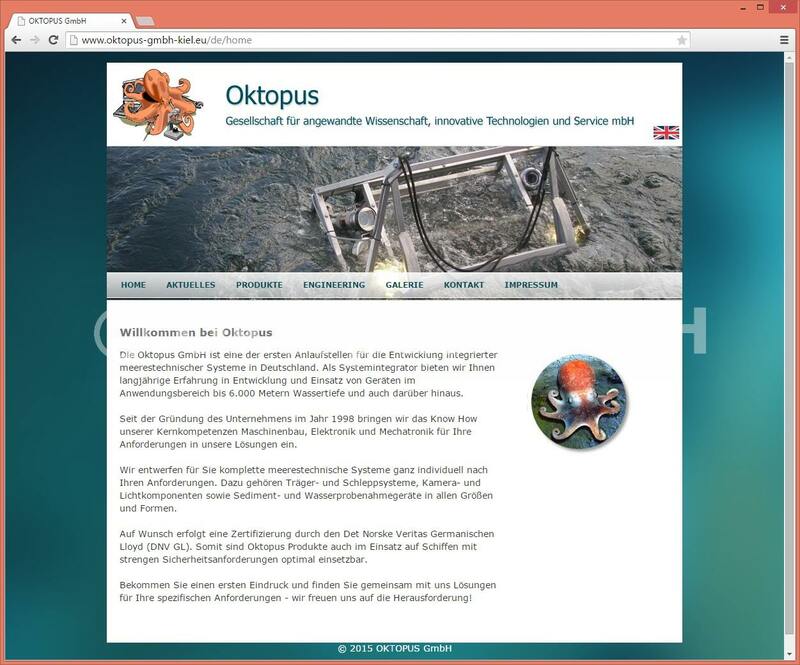 Oktopus GmbH is your first point of contact for the development of integrated maritime systems in Germany. 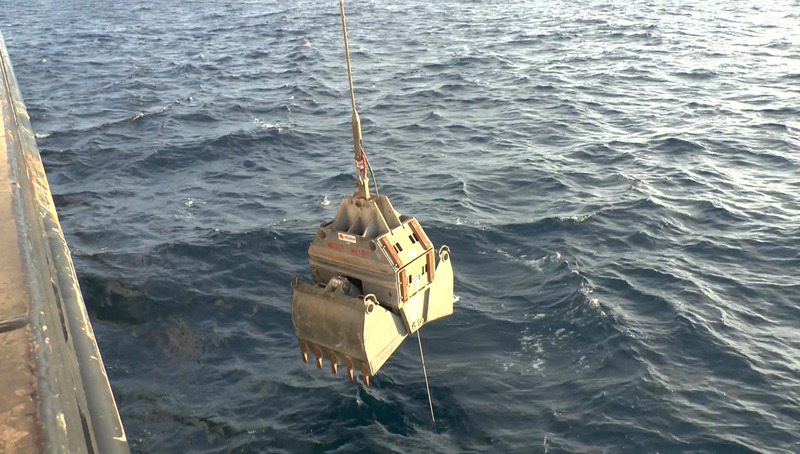 As a system integrator we offer many years of experience in the development and deployment of equipment for a deployment range of 6000 m water depth and more. 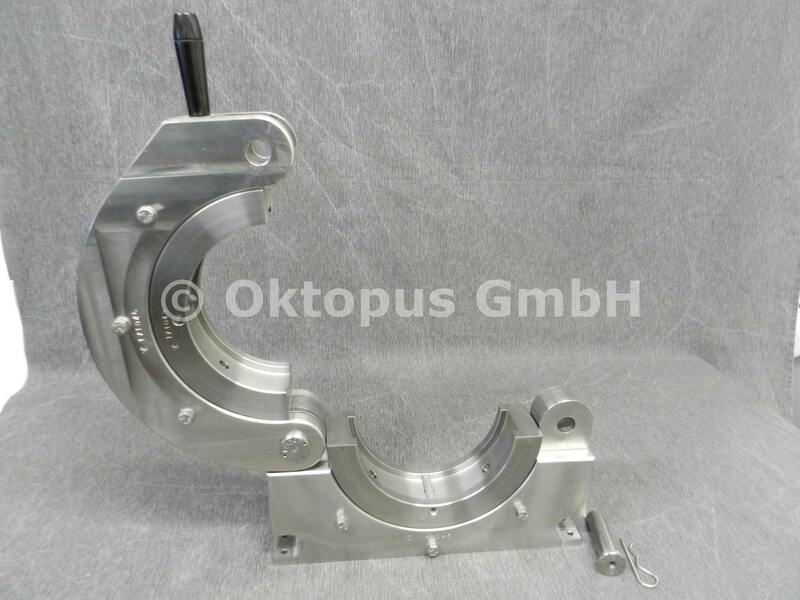 Since the company was established in 1998 we have been applying our know-how to meet your requirements in our core fields of expertise: mechanical engineering, electronics and mechatronics. 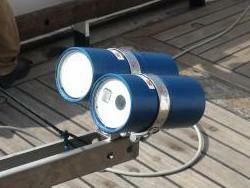 We design complete maritime systems to meet your specific requirements. 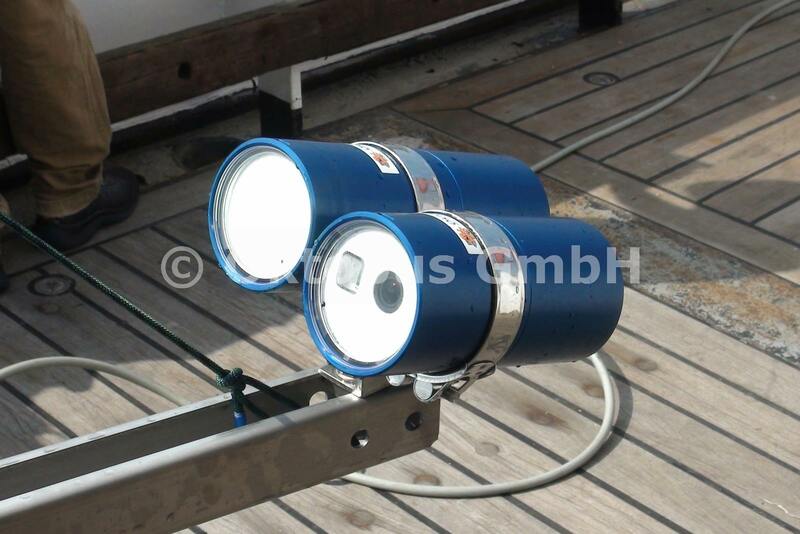 These include carrier and towing systems, camera and lighting components, and sediment and water sampling equipment in all shapes and sizes. 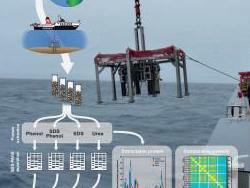 Systems can be certified by Det Norske Veritas Germanic Lloyd (DNV GL) on request. 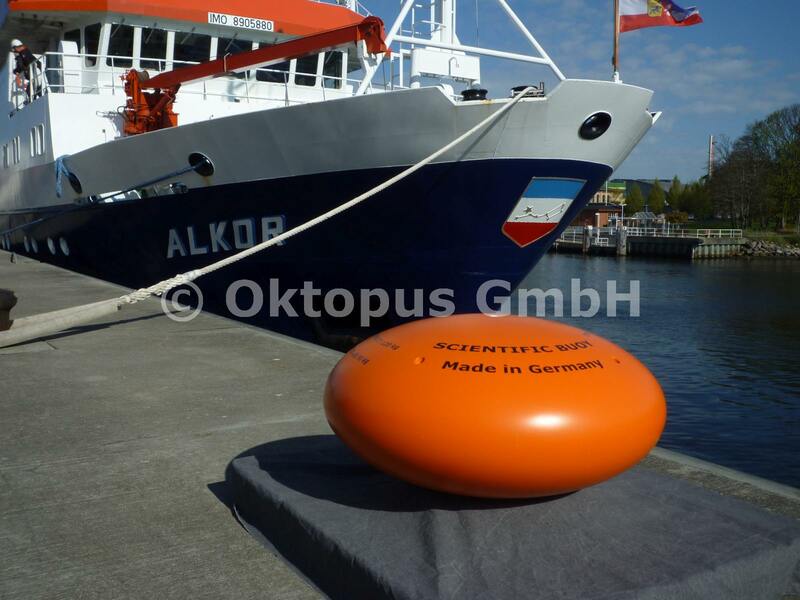 This means that Oktopus products can also be optimally deployed on vessels with stringent safety requirements. Come and get a first impression and discover, with our help, the solutions available to meet your specific demands - we are looking forward to the challenge! 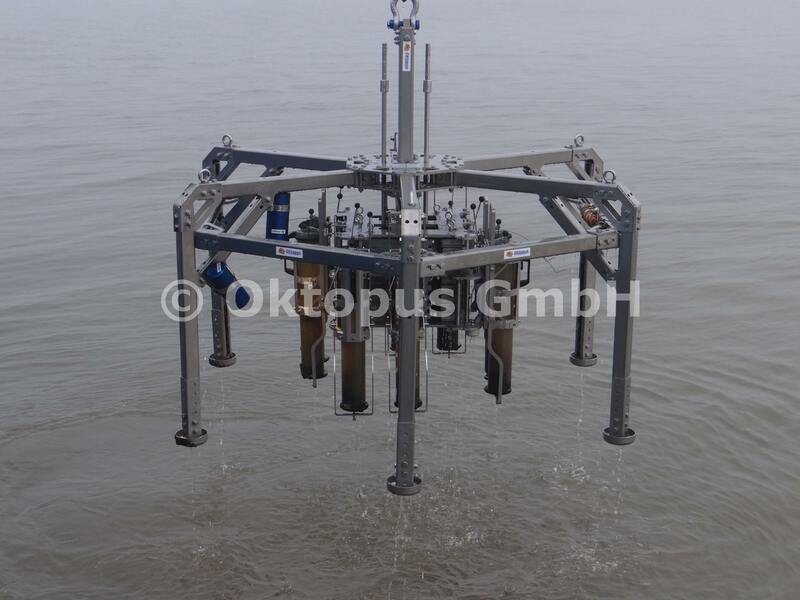 Since 2016 OKTOPUS GmbH offers its new three hydraulic damped multiple corer versions MC 04-08, MC 08-12 and MC 12-20 with 4 and up to 20 core tubes to be used on small ships working in shallow and coastal water areas as well as on large modern research vessels for deep sea deployments. 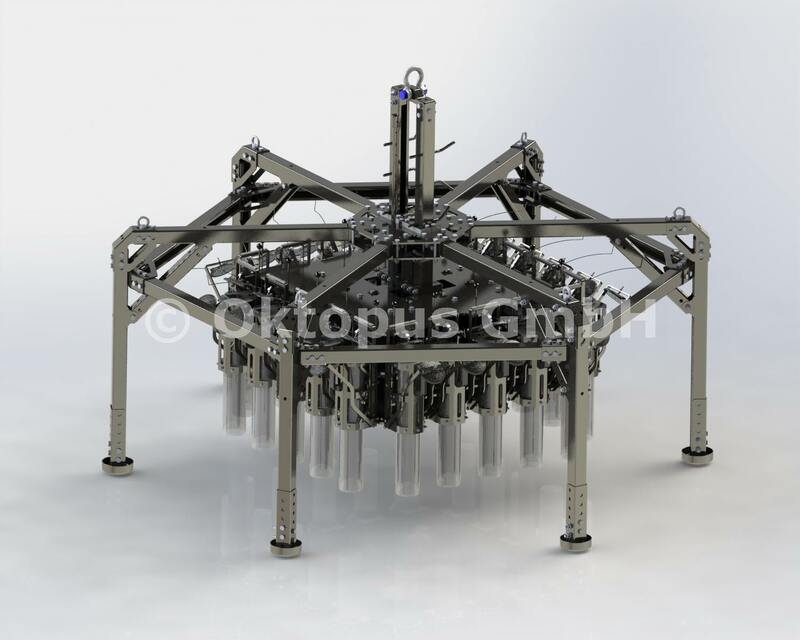 Compared to the older versions, the advantages of the converted frameworks are primarily the stainless steel Oktopus Modular Frame System (OktoMFS). Do away with welded connections in favor of flexibility, hand-in-hand with effective transportation and space-saving storage even for air transport, as well as additional sensors or a video telemetry system and lights which can easily be attached. Excel is the new entire core tube holder which can quickly be detached from the head including the sample for immediate further treatment in the lab or storage if required. 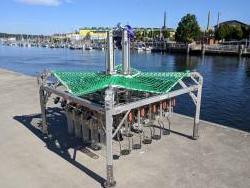 The area required of the 4 leg, 1.1m high framework is 1.882m x 1.882m, the total height of the multiple corer is 1.8m. 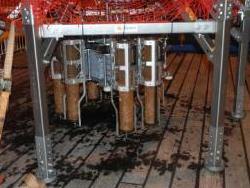 Compared to the up to today largest version with 12 core tubes, 20 successfully sampled core tubes means 66% more samples from one deployment and saving valuable ship time especially during deep-sea research cruises and monitoring tasks. 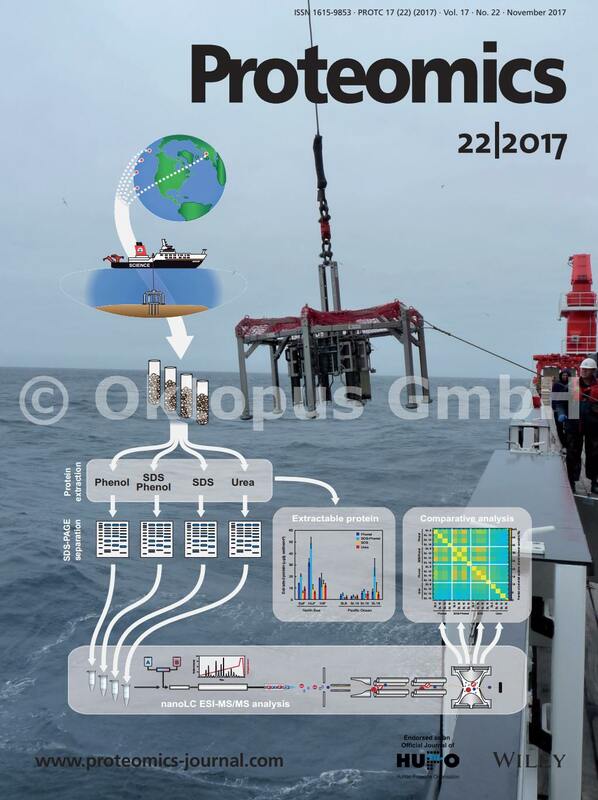 While publishing their scientific results of the RV SONNE cruise 248 by scientists of the University of Oldenburg/Germany our new Mutliple Corer made it on the front page of the scientific journal Protemics. 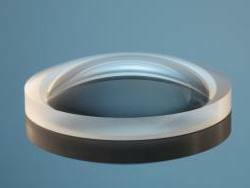 In the course of the outside pressure test bench project a method for certifying sapphire glasses was developed in collaboration with DNV GL. 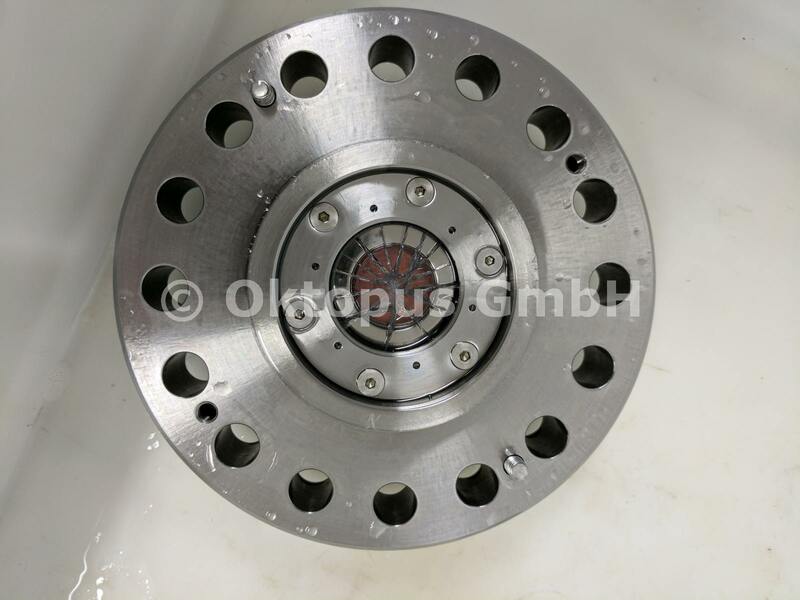 Oktopus GmbH is now capable of supplying optical viewing ports for cameras, lasers or other optical components for a wide range of purposes, down to full ocean depth (1100 bar). As our customer, you are free to choose the dimensions and shape of your window, up to a diameter of 100 mm. It is also possible for you to select a coating to meet your specific demands (e.g. 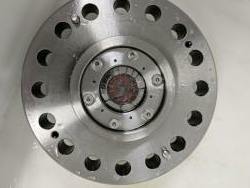 for enhanced transmission) from an extensive range. 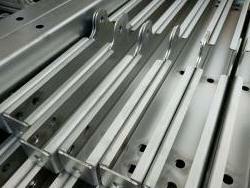 Installation in plastic, aluminium, stainless steel, duplex or titanium pressurised casings, for example, is possible. And did you know: Oktopus is unique in this field. The electrohydraulic external pressure test bench is used in industry for research and development purposes. For preliminary studies, e.g. 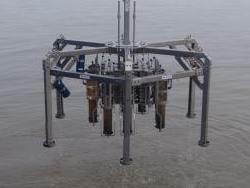 in the context of future marine mining, it is useful to create a laboratory environment in which experiments with system pressures up to 650 bar can be performed. The tank is highly compact and can therefore be flexibly integrated in the user's laboratory or application environment, including through the mobile control and unit console. 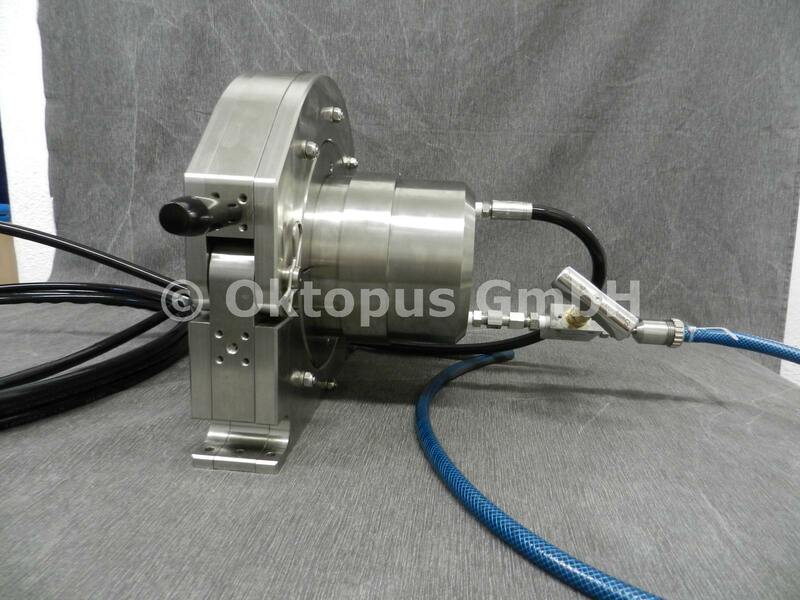 As the customer, you can choose from a large number of options in terms of electrical and LWL feed-though points and select from a wide range of materials for viewing ports. 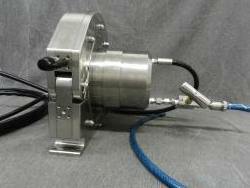 Of course, this external pressure test bench is DNV GL certified. 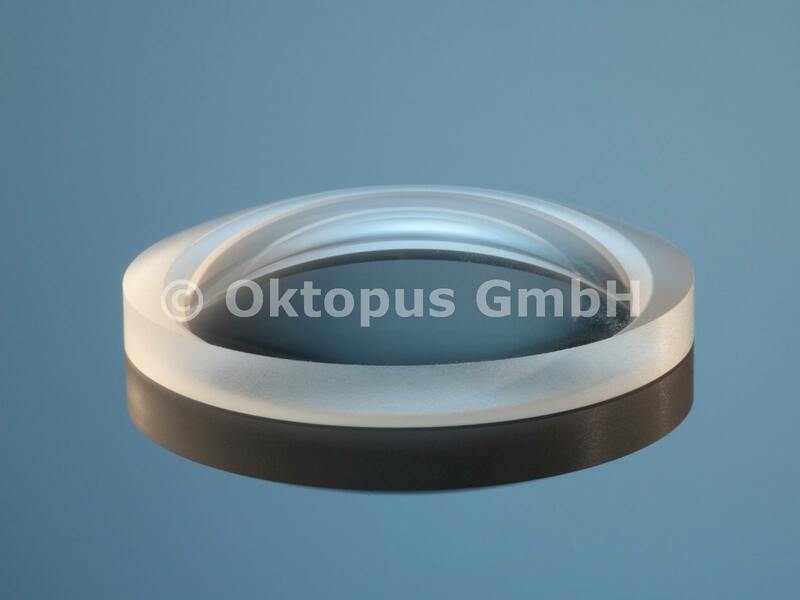 And did you know: Oktopus is happy to provide you with DNV GL certified sapphire glass for your application. Ask us about it! Quickly give your carrier frame a new lease of life with the variable Oktopus OktoMF-System carrier kit. Do away with welded connections and their corrosion problems in favour of flexibility, hand-in-hand with effective transportation and space-saving storage. You redesigning your own specific rack and supplement your existing carrier components as needed without having to retain storage space for expired equipment. 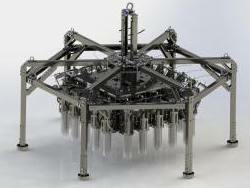 For example, use today as an OFOS (Ocean Floor Observation System) and on the next trip anchored long-term as a lander. Your technology demands are always at the forefront. 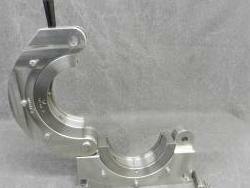 Guaranteed cost-efficiency thanks to multiple uses and durability of the highest quality and precision. 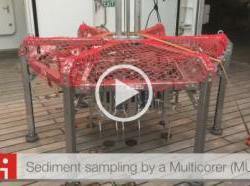 The third video-guided hydraulic deep-sea grab has been in production for the Korean Institute of Ocean Science and Technology since March 2016. 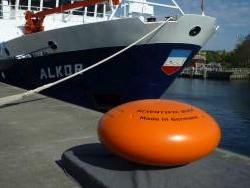 The grad will be equipped with a redesigned hydraulics concept, fibre-optics telemetry and real-time camera system and be deployable at water depths up to 6000 m. To mark the occasion there will be a video of the deployment on the vessel FS Sonne (SO241) in 2015, with the kind permission and provision of Helmholtz Centre for Ocean Research Kiel (Geomar). Our Multicorer family is growing. 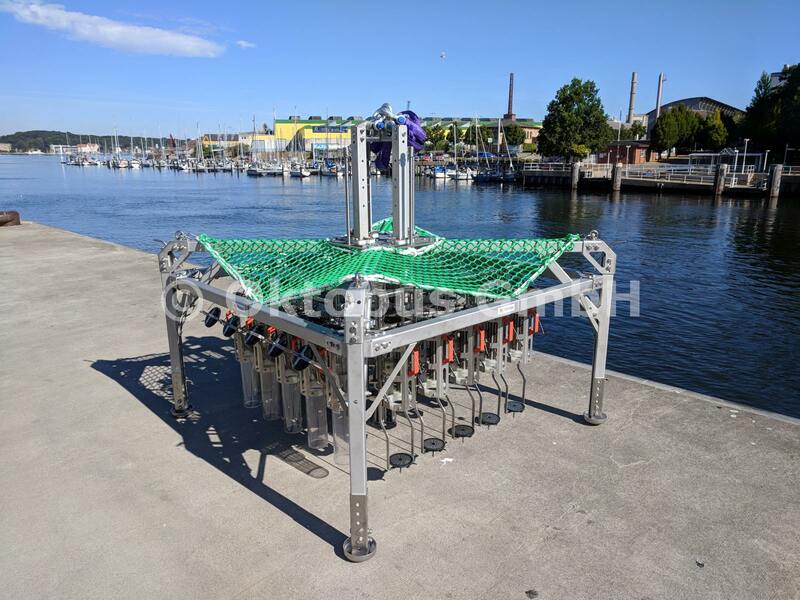 Now that the MC 4-8 series (lightweight version for small vessels) has been profiting from the new OktoMFS profile system for a whole year, the MC 8-12 series follows (heavy-duty version for deep-sea deployment). 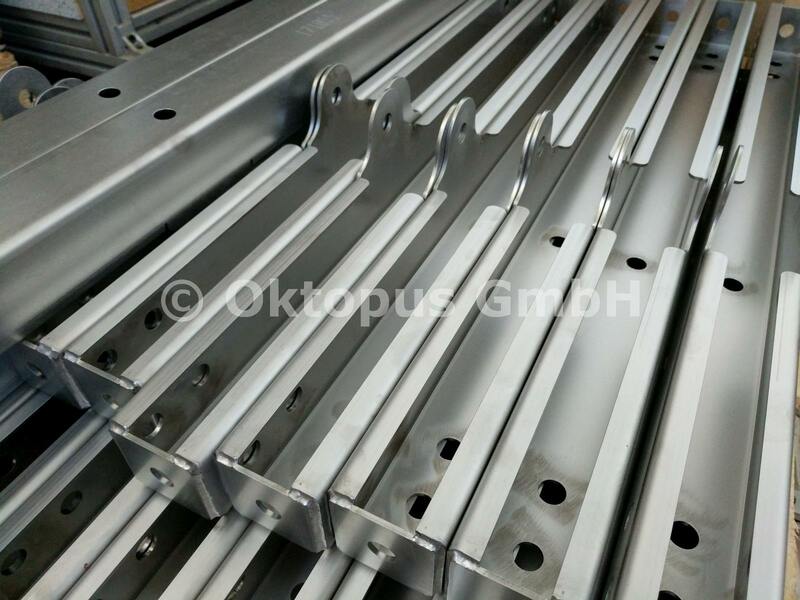 The new OktoMFS profile system allows the simple replacement of damaged components and the attachment of cameras, floodlights or sensors, for example. We are extremely happy to finally be able to present our new website. The old website contained a lot of outdated information and hasn't kept pace with the status of our company for a long time. This has now changed with the new website. New developments are quickly integrated and can be viewed in the different categories together with the existing offers. We request your patience for missing parts in other languages. They will follow soon. Enjoy browsing.